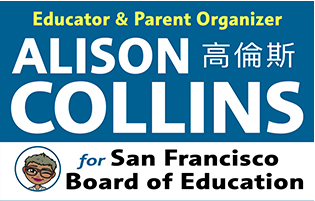 Alison Collins, known to friends and colleagues as “Ali”, is a educator, community organizer, and public school mom who has lived in San Francisco and worked in the field of education equity for over twenty years. Alison is personally committed to giving back to the public education system which helped her mother rise out of poverty and helped her father become one of the first Black professors at UCLA. Her family history has fueled her passion for ensuring all students receive equal access to a quality education. Her diverse professional experience includes working as a school improvement coach, teacher, parent educator and diversity expert. As a fierce advocate for public schools, Alison speaks out on parent rights and holding district leaders accountable. Partnering with parents, site and district leaders, and elected officials, she helped Carver Elementary secure over $1.5 million dollars for much needed school improvements. She recently worked with families across the city to ensure our district involves families in decision making and “keeps its promises” to students. Alison is a seasoned educator, who holds a masters in education from San Francisco State University. Her professional accomplishments include acting as district liaison for the Chief Academic Officer of Oakland Unified School District (OUSD) and Education Trust West to lead strategic planning of the “A-G for all” high school graduation initiative. She also developed a successful grant for SFUSD and the United Way Bay Area to support family involvement efforts in college-going for high school parents. She has also led workshops and worked as a parent leadership coach with Spanish-speaking parent leaders via the Parent Leadership Action Network (PLAN). As a middle school mom of twin girls, she has been an active school parent leader and district volunteer since before they were in the public education system; serving on the School Site Council and Parent Teacher Organization at her daughters’ elementary and middle schools, as an active member of the district African-American Parent Advisory Council, and as a parent volunteer on the District A-G Committee, and appointed by the Board of Education to serve on the Prop A Quality Teacher and Education Act (QTEA) Oversight Committee. 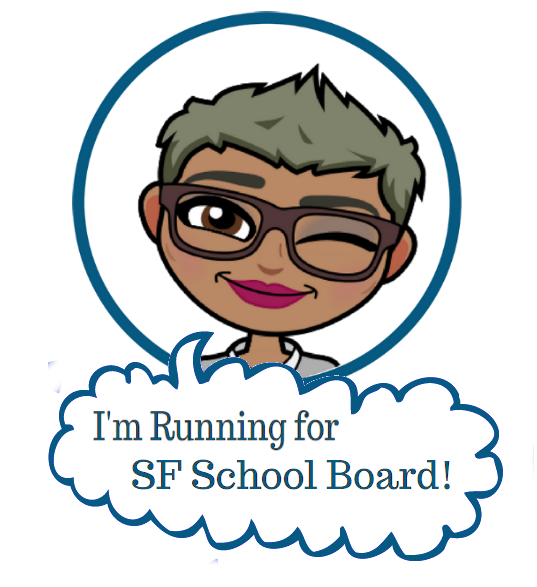 She also authors the blog SF Public School Mom, where she writes about her observations about parenting, race and education policy as a mixed-race Black public school mom.